This Portable Makeup Chair Makes Your Life So Easy! Pure Spa Direct offers a wide variety of hydraulic makeup chairs, perfect for use in salons, but my clients tell me all the time how they really need a good quality, sturdy chair that is easy to transport. Since many makeup artists perform their services on-the-go, a portable chair is necessary! Look no further! 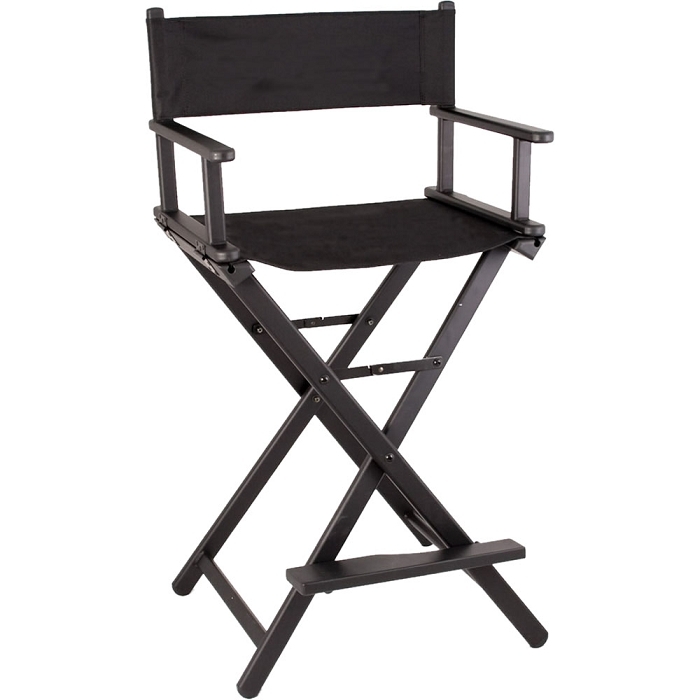 This beautiful black aluminum Makeup Chair is just what the Makeup Artist ordered! The tall 29" height is the perfect height for makeup application, the all black motif is beautifully professional, and the light weight makes bringing this chair on assignment with you a breeze! Check it out today! Overall chair dimension (LxWxH): 22.25" x 19.5" x 43.25"